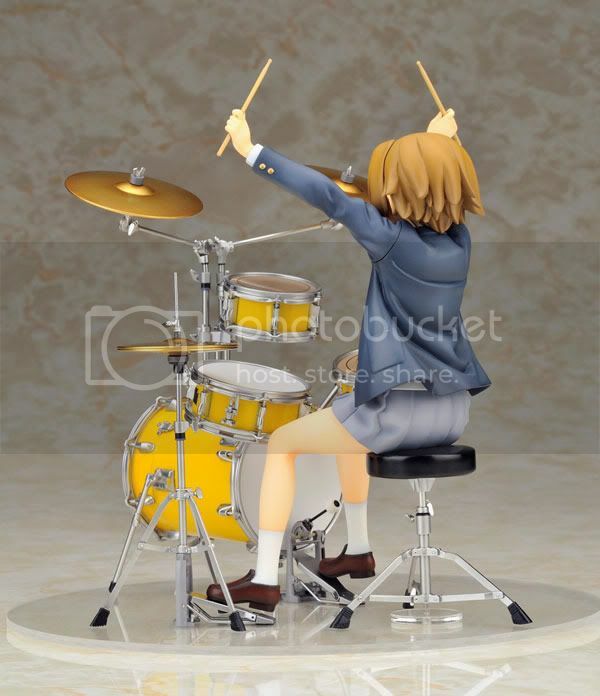 Alter is going to release the Ritsu Tainaka 1/8 PVC figure from the manga/anime K-ON!. 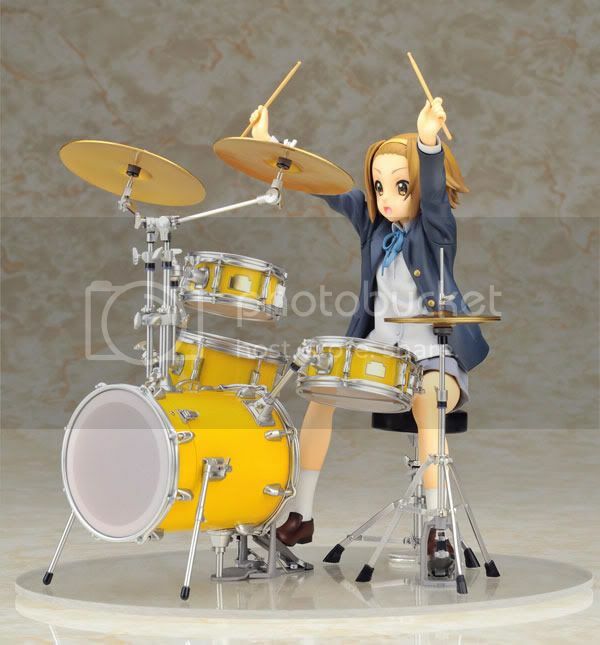 This figure is approximately 190mm in height (including the drum sticks) and will be released in February 2011 around 9,800 yen. 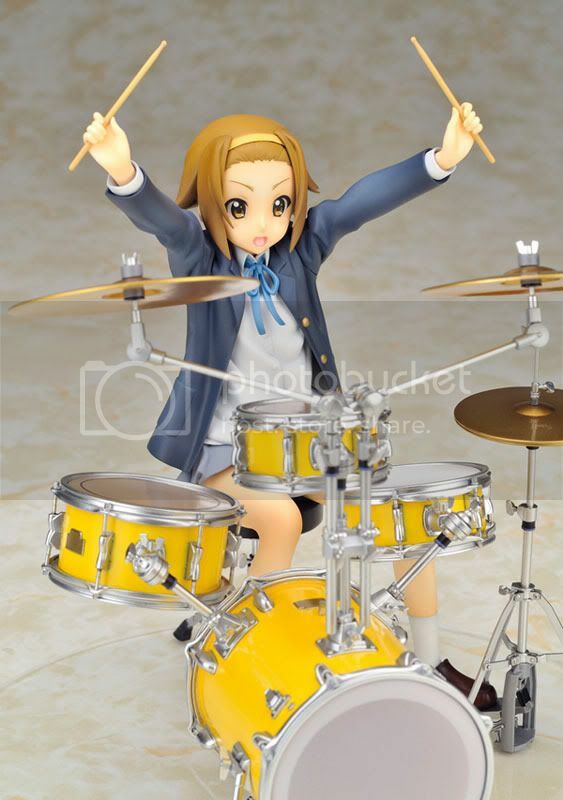 Here comes the last personnel also the leader of the K-ON! 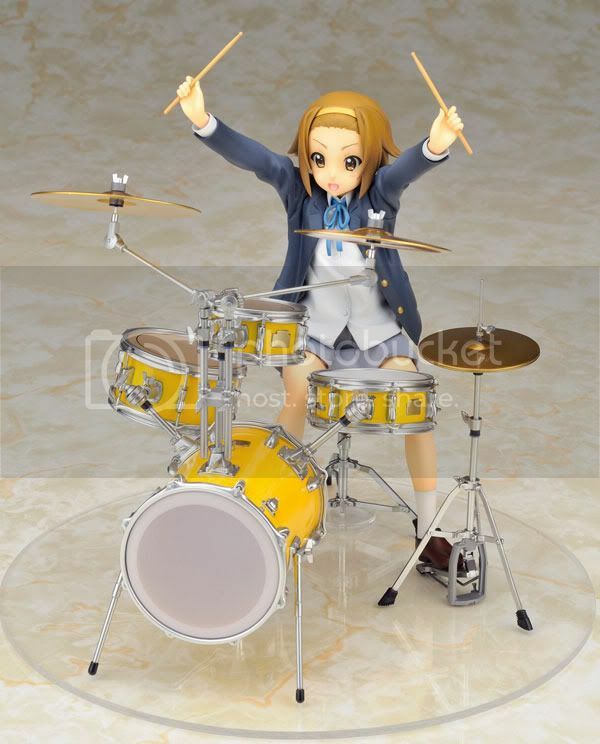 girls, Tainaka Ritsu. 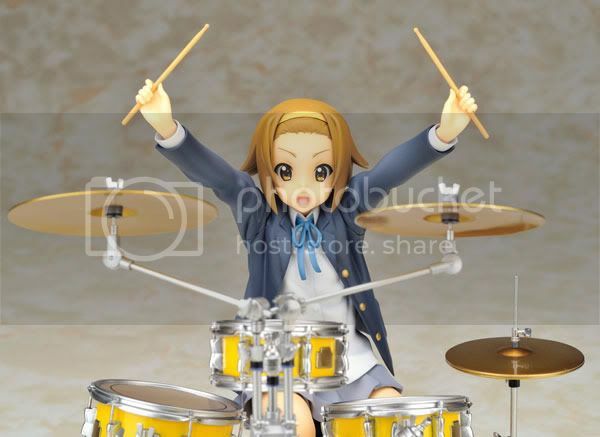 With her release, the band is complete now! Alter did a terrific job in polishing this figure. 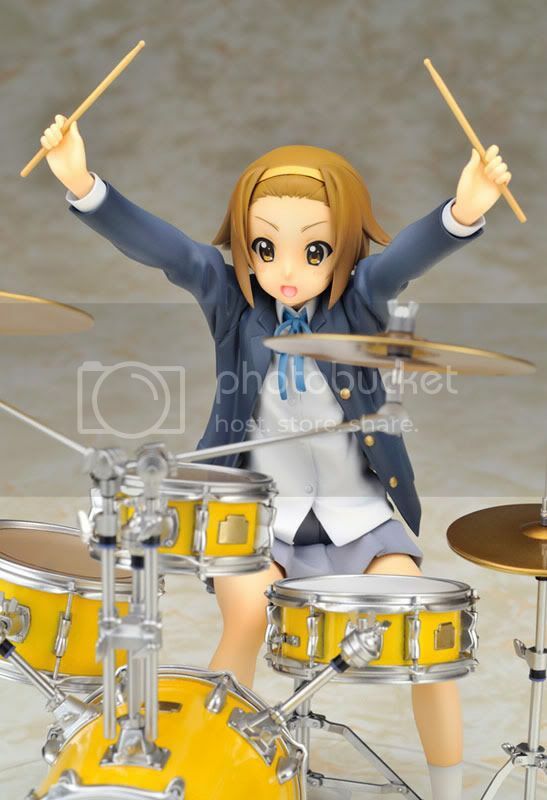 Ritsu looks perfect and great behind her drum set. 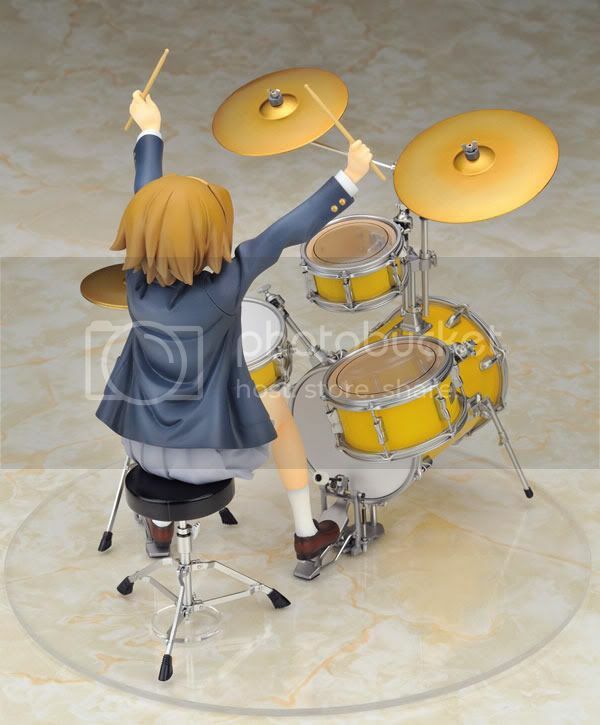 The drum set itself also impressive in its size as well as its incredible level of detail. 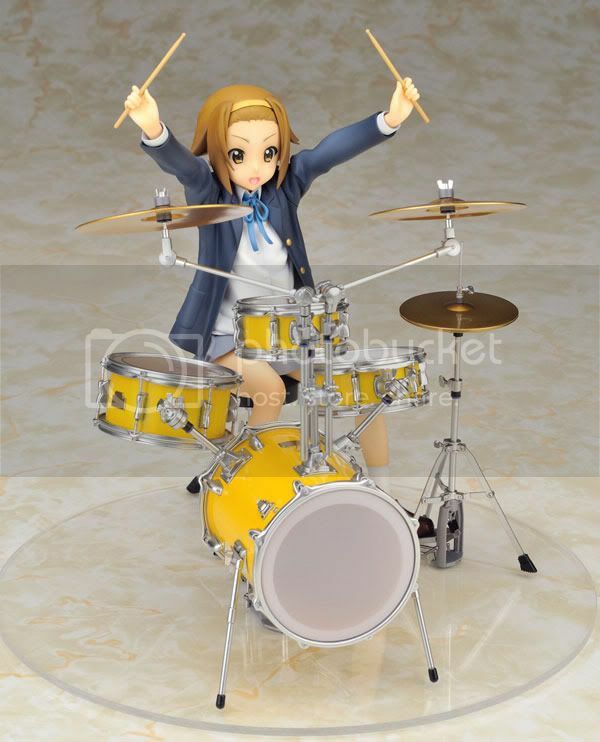 I think this is also the perfect figurine to complete Alter's K-ON! figure line-up. 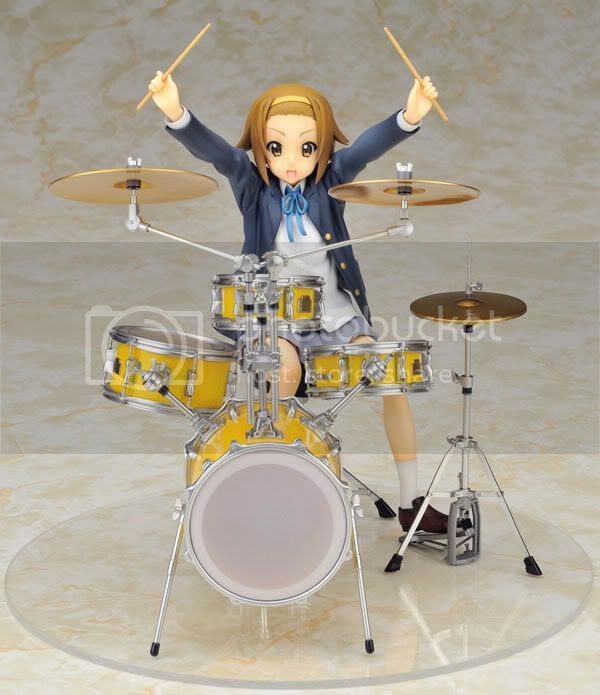 wow IMO this one is the greatest among the others :D so you have all alter's K-ON! already ?